Last week was a busy one. 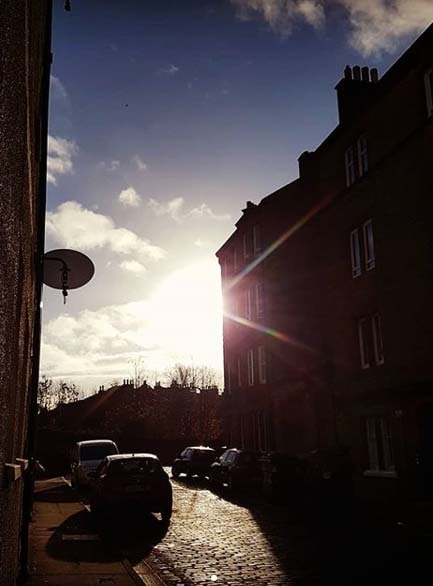 My trip to Edinburgh was great. It was beautiful weather up there: clear and crisp, and slanting low light around every corner. I visited my publisher’s office and met my editor properly for the first time. We had lemon biscuits and coffee, and chatted through the editing process and all sorts of other miscellaneous book-related things. It was lovely and made me very excited about working with them. I also did some tutorials at Edinburgh College of Art but will post about that another time. It was funny being back at the College of Art. It hadn’t changed a bit. Back in Exeter, most of the housework and chores awaited my return but the family seemed to have survived. 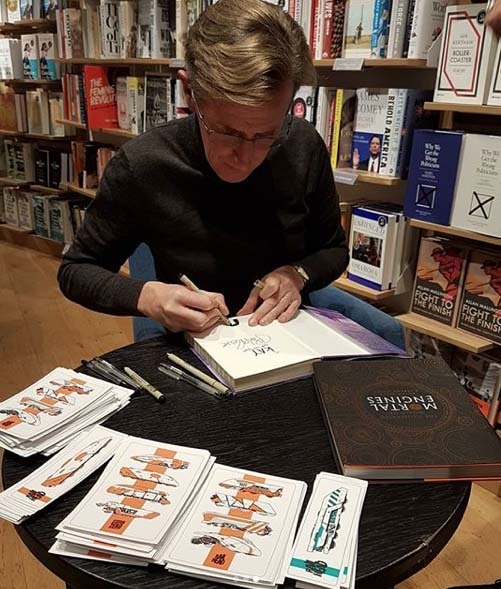 At the weekend it was Exeter Literary Festival, and I got along to an ‘In Converstion…’ Event at Exeter Waterstones with Philip Reeve. Philip is best known as a YA author but he has also collaborated on books for younger children with the incredibly talented Sarah McIntyre. Really, I think his books are for all ages. We love them in our house. If you haven’t heard of Philip’s books you might have heard of the upcoming Mortal Engines film by Lord of the Rings director, Peter Jackson, which is based on Philip’s book series of the same name. It was wonderful hearing Philip discussing his books and writing, with another Devon-based YA author, Lucy Hounsom. He is a very engaging person to listen to. It was particular interesting for me to hear about his journey from illustrator to writer. His books are mostly science fiction and I loved hearing his ideas about dystopian versus utopian science fiction, and how these relate to current events. He is definitely someone I could have listened to speak for at least double the time. I have been making an effort to get along to more author events as I always do find them inspiring. I virtually skipped back home down the hill, underneath the hung but yet to be lit Christmas lights on Exeter High Street, singing to myself just like one of Philip’s sentient trains. Philip doesn’t just sign books for his fans, he also draws them illustrations – brilliant! This entry was posted in Illustration, Making changes and tagged author event, book signing, Christmas lights, coffee, dystopia, edinburgh, edinburgh college of art, editorial meeting, Exeter Literary festival, illustration, lemon biscuits, Lucy Hounsom, Mortal Engines, Peter Jackson, Philip Reeve, Railhead, Sarah McIntyre, science fiction, singing trains, utopia, Waterstones Exeter, writing, YA fiction. Bookmark the permalink. Glad to hear it went well in Edinburgh & that you’re excited about the venture ahead, no wonder you were particularly interested in Philip’s talk. Good that the family survived OK. Nice to have you back safely here in the south west again.